Great location, clean,all amenities and friendly staff. Also a good roof terrace. Location was very good and the apartment comfortable and clean. The staff is very helpful and friendly. The staff were excellent, and everything they advertised was true to form. I can easily recommend this establishment. We enjoyed the location and would say that this is a great choice if you want to be close to the old town area. The apartment was well equipped with the option to cook for yourself if the multitude of restaurants within walking distance didn't appeal! I loved how close you were to the beach, restaurants and the center of Old Town. I was especially impressed by how professional and kind the employees at the reception treated me. Outstanding care to the client. Bravo! Very clean room with all the facilities you need. Excellent pool and sea views and a short stroll to the Old towns bars and Restaurants. Everything. The staff was extremely helpful. They accomodated us for all our little requests. They gave us a welcome briefing when we arrived, explaining us where everything was. The rooms are very clean, very confortable and the location is just the best. Wow! A room with a view, a swimming pool, nice kitchen and a "braai"!!! This was the best, because as South Africans we LOVE our braai! Excellent apartment in a great location. Had the Seaview room.....amazing ! Lock in a great price for Apartamentos Rossio Mar – rated 9.2 by recent guests! One of our best sellers in Albufeira! 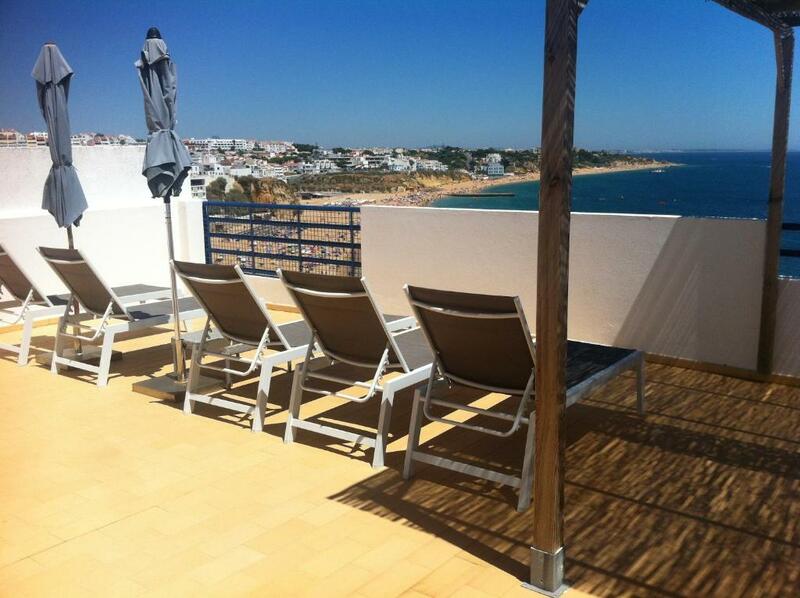 Located in Albufeira, Apartamentos Rossio Mar are located in 2 different buildings, one is 500 feet from the beach, and the other is 150 feet from the elevator that can take you to the beach. It has a sun-lounger terrace and offers panoramic views over the Atlantic Ocean. 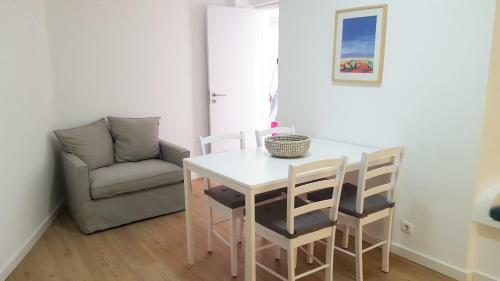 Rossio Mar apartments have simple furnishings and satellite TV. The fully equipped kitchens include a microwave and refrigerator. Some also have balconies. Guests of the Apartamentos Rossio can relax on the sun terrace, or rent a car and explore the city. One of the buildings has an outdoor pool, while the other is 150 feet from the elevator which offers direct access to the beach. The Faro International Airport is a 40-minute drive from the Apartamentos Rossio Mar. The harbor is less than 1,650 feet away. 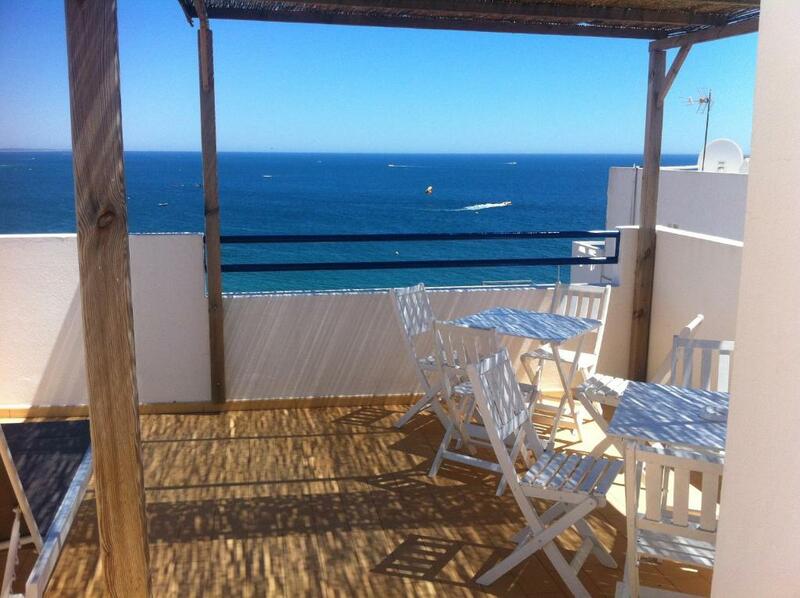 뀐 Located in the real heart of Albufeira, this property has an excellent location score of 9.7! When would you like to stay at Apartamentos Rossio Mar? Apartment located in the 1st floor featuring an equipped kitchen, private bathroom with a bath, safe and a balcony. Guests have access to a rooftop terrace with panoramic ocean views. Studio featuring an equipped kitchen and a private bathroom with a bath. There is also a satellite TV and a safety deposit box. This unit is easily accessible from the front of the hotel. Guests have access to a rooftop terrace with panoramic ocean views. 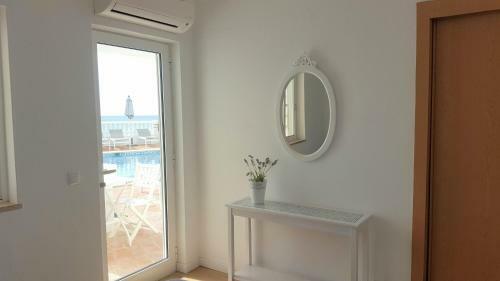 Apartment located in the 2nd floor featuring an equipped kitchen, private bathroom with a bath, safe and a balcony with sea view. 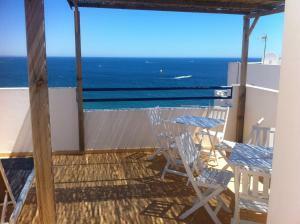 Guests also have access to a rooftop terrace with panoramic ocean views. Apartment featuring an equipped kitchenette, private bathroom with a bath, safe, satellite TV and a balcony. This room includes panoramic views over the Atlantic Ocean and access to the outdoor pool. Studio featuring an equipped kitchen, satellite TV, private bathroom with a bath, safe and a balcony. Guests have access to a rooftop terrace with panoramic ocean views. Apartment located in the 3rd floor featuring a balcony and a private terrace. There is an equipped kitchenette, a private bathroom with a bath, a safety deposit box and a satellite TV. This room includes panoramic views over the Atlantic Ocean and access to the outdoor pool. House Rules Apartamentos Rossio Mar takes special requests – add in the next step! Apartamentos Rossio Mar accepts these cards and reserves the right to temporarily hold an amount prior to arrival. Please note that for reservations with 3 or more units, a prepayment of 30% of the total amount will be required via bank transfer. The property will contact you after you book to provide instructions. Please inform Apartamentos Rossio Mar of your expected arrival time in advance. You can use the Special Requests box when booking, or contact the property directly using the contact details in your confirmation. staff always great ! cleaners very good ! will be back ! There was a slight damp smell in the bathroom that you get on entering but this is due to age of building and ground floor position of the flat. It was certainly cleaned thoroughly. The apartment was compact but had everything we needed for a few days away and exceeded expectations. The pool area was fantastic and the location of the apartment couldn’t have been better. We’ll be recommending this apartment to friends and family. You felt like you where in the heart of Portugal. The old town centre is a stones through away and the beach. Perfect location and the apartments are perfect for a short break for people who want a little of the Portuguese way of life thrown in. I loved everything about the apartment. Room 4, 1 bed superior room..I loved the location, and the views was amazing of the bays. Five min walk to old town. One balcony and a terrace at back with recliners on, nice to sunbath on a afternoon. Location, view, spacious, fantastic and supportive staff. Also fully equipped kitchen! The apartment was in a lovely location and had a great view, the staff where really friendly and helpful. The apartment was spotlessly clean and well laid out. We will definatly stay there again. We advise everyone to try it!! !